Looking to elope in New York? New York Dream Weddings will plan you the ultimate NYC Wedding! Our incredible team consists of passionate, hard working, and super talented individuals that truly care about your wedding day. We are all here to make sure you have the absolute best experience possible. We have the most talented photographers in NYC to capture your memories in a fun, relaxed, creative way. Our ministers find new and exciting ways to tell your love story. Our world class hair and makeup team guarantee to make you look even more beautiful than you've ever been before! Our florist can make any bouquet you would like. And finally, all of our musicians are at the top of their fields, and can play almost anything you dream up! Harley Hall, owner and founder of New York Dream Weddings, is a native New Yorker, whose passion and love for romance led him to become a wedding photographer. After years of shooting traditional weddings here and abroad, Harley decided to take a more intimate approach to his craft. He saw the need for smaller, more personal non- traditional weddings, and decided to create New York Dream Weddings. Born and raised in New York City, Harley has a vast in depth knowledge of all the amazing things this city has to offer, and he gives it to his wedding clients. Harley's team consists of photographers, officiants, limo drivers, florists, and New York City itself! Come and celebrate your wedding in New York with New York Dream Weddings! We make planning your wedding in NYC easy! Sacha Jones works closely with her clients to create a personal and meaningful ceremony that looks and feels eactly as you envision. She is passionate about her work, the art and magic of creating ritual, and ceremony! Michael O'Neill has been a wedding officiant for several years and has had the honor of presiding over hundreds of weddings in New York, New Jersey, Connecticut and Massachusetts. He honors all faiths and all people, and believes that any two people, who choose to dedicate their lives to one another in matrimony, or in spiritual union, deserve complete respect and dedication in creating the most memorable ceremony possible. This is the goal he strives for with each ceremony he performs. Heidi’s career in cosmetics began by joining the beauty team of, at the time, the new and upcoming brand, Bobbi Brown Cosmetics. After freelancing with BB she ultimately took a full time position with them at Saks Fifth Ave, which progressed into a position as a personal cosmetic liaison with Saks's preferred clientele. Her experience there, working with women of all ages, ethnicities, and preferences, she has said, was “the best training she could have ever had in knowing how to personalize a look for her clients”. After a decade of service she left to nurture her entrepreneurial spirit, which led to the creation of the luxury beauty agency, Damali New York, specializes in Bridal and Mobile beauty services. Highly sought after by brides and a favorite among socialites and fashionistas, Heidi continues to provide services for her private, corporate and bridal clientele while striving to direct Damali NYC to new heights. Mike ( Mikey) has been driving limos in New York City since the early 80's when he transferred over from being a yellow cab driver. He has been driving these streets for over 35 years and has all the stories to prove it! You will not find a kinder, more honest, loving, friendly man behind the wheel, anywhere! We have limos of all shapes and sizes to fit any party size. 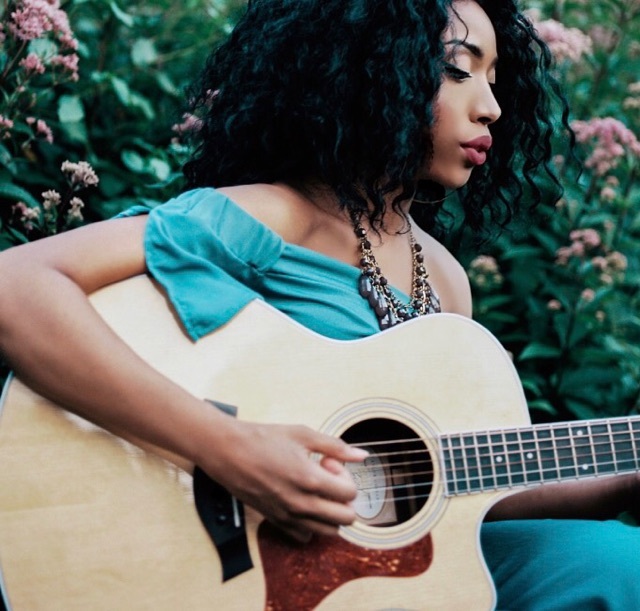 Najah, is a vocalist and guitarist who devotes countless hours to her craft. She performs at various events and venues throughout New York. Najah pours her heart into every performance. In addition to singing, she also loves writing songs. Najah was recently featured in Timeout Magazine and Fan Crush. From studio sessions to weddings, to stints on Billboard and MTV. Chris is a saxophone player, multi-instrumentalist, and composer based in New York City. Originally from New Jersey, he has been playing music as long as he can remember. He has studied saxophone and jazz extensively, earning his Bachelor's and Master's degrees. Before moving to NYC, he had the incredible experience of traveling the world performing music on cruise ships. As a freelance musician, he has had the opportunity to perform at many great venues in the area. He enjoys listening to and performing a wide variety of music. ease, ingenuity and polished skills. Ernesto writes his own music, which reflect an amalgamation of his Mediterranean background, classical jazz training, and influences from contemporary music.